The pack also includes a free, bonus Vinyl Drum Kits - 70s Drum Kits library, for a total 11. While announced as worth $600 if bought separately, all the elements of this pack are available together for the special price of $99. Offer is valid until this Sunday only at www.pettinhouse.com. Pettinhouse updates AcousticGuitar to v2 Pettinhouse releases the v2.0 update of its AcousticGuitar virtual acoustic guitar, with 1.6GB of additional samples. Pettinhouse UkuleleGuitar Pettinhouse.com announced that is working on a new sample library for Kontakt-UkuleleGuitar, a ukulele kontakt library available in stores beginning November 3rd. 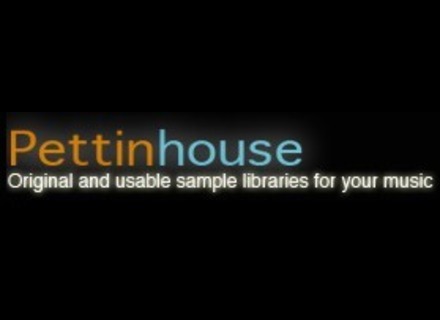 Pettinhouse AcousticGuitar Free Pettinhouse has announced the release of AcousticGuitar Free, a Stereo Steel-strings Acoustic Guitar sample library for Kontakt (2+) coming directly from its "big Brother" AcousticGuitar.